Originally from Japan (Rei means "Universe” or “spirit" and Ki "life force energy"), Reiki is an alternative healing technique where practitioners remove blockages and restore a free flow of energy in the patient’s body through palm healing. Reiki works on different levels (physical, mental, emotional and spiritual) and allows for deep relaxation, reduces stress and helps the person achieve serenity and inner peace. This energy therapy has positive effects on many conditions. 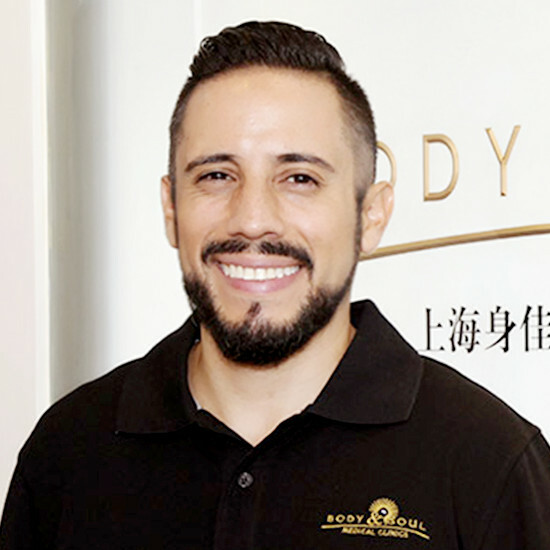 Patients receiving Reiki treatments can experience relief when suffering from headaches, digestive problems, colds, muscle stiffness, joint pain, tensions, anxiety or depression. Reiki can also help patients suffering from heart conditions, cancer, leukemia, AIDS, etc. by reducing symptoms and helping manage side effects of medical treatments (chemotherapy, post-operative pain,). Reiki can also improve the healing rate and reduce recovery time. Reiki can be applied safely to everybody, including pregnant women and children. Reiki boosts the patient’s spiritual growth and helps them to get to know themselves better. It improves their awareness, intuition and inner knowledge. Lama Fera is a very powerful energy healing technique that has been used by the Buddhist monks in the Himalayas for centuries. Lama Fera heals the physical, emotional, mental and spiritual bodies by removing negative energies and boosting the positive vibes. It is a beautiful way to deal with emotions and feelings that are ready to be released. The technique is based on one of the latest teachings of the Buddha. Even though it is connected with Buddhism, the session itself is not religious in nature. Lama means guru or enlightened master and Fera means system or technique using consciousness, energy, knowledge and intelligence. Lama Fera is a beautiful healing technique where the energy flows through the healer to the person receiving the healing session. Lama Fera is an extremely efficient healing technique to remove negative thoughts and to increase the Pranic Energy, which helps in the re-construction of damaged cells and boosts the body’s immune system. Singing bowls (also known as 'Himalayan bowls' or suzu gongs in Japan) are a kind of bell, specifically classified as a standing bell, which sits with the bottom surface resting on the ground. The sides and rim of the singing bowls vibrate to produce sound which can be used for spiritual traditions, meditation, relaxation, religious practices and personal well-being. The best-known types are from the Himalayan region and are often called "Tibetan singing bowls". Sound helps to facilitate shifts in the brainwave state by using entrainment. Entrainment synchronizes fluctuating brainwaves by providing a stable frequency which the brainwave can attune to. By using rhythm and frequency, one can down-shift from a normal beta state (normal waking consciousness) to alpha (relaxed consciousness), and even reach theta (meditative state) and delta (sleep, where internal healing can occur). Sound also interacts with the water in our bodies, as well as with the blood. By interacting with fluids, it helps to unblock subconscious emotions. Sound therapy treatment is both a passive and participatory experience. The passive aspect is when the client becomes more relaxed by lying down and slowing down his breath. By becoming more open and aware, he prepares himself to receive the sound, which is the participatory aspect. Sound helps create the pathway to this place of stillness. When is sound healing helpful? 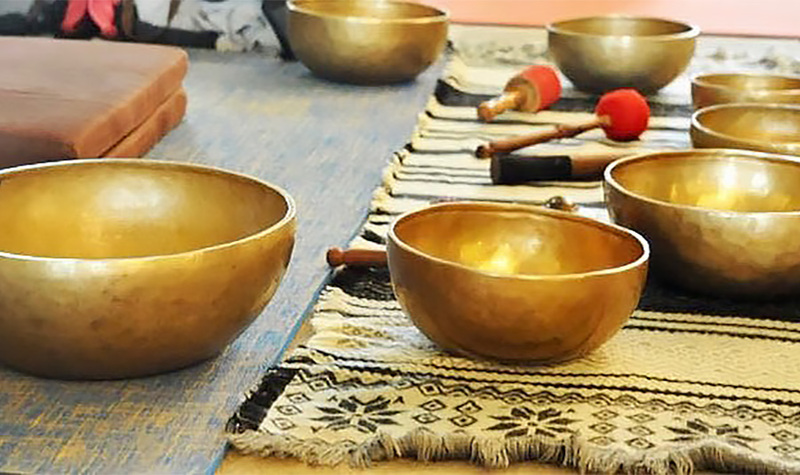 In private sound healing sessions, the therapist balances and harmonizes the seven chakras with the bowls and provides a small massage with sound all over the body. Please note: health insurance coverage and direct billing cannot be applied to Lama Fera and Sound Healing sessions. Lama Fera and Sound Healing sessions are available on request. Please contact us here for more information.